The think thank study found that lowering the voting age could increase engagement with politics. 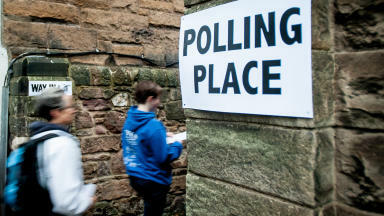 The study found that lowering the voting age could increase young people's engagement with politics. 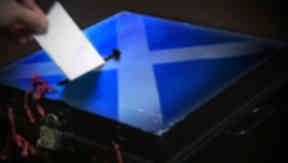 Those aged 16 and 17 were able to vote in the referendum on September 18 - the first major ballot in the UK to include this age group. Researchers at think tank dpart gathered evidence from two surveys of under 18s - one conducted in April and May 2013, and then a second conducted one year later. More than 1,000 young people responded to each survey. They found that under 18s were at least as interested in politics as adults. Only 7% had never talked about the referendum with anyone. Young people were less likely than adults to align themselves with political parties, but the proportion who said they did not feel an affinity to one dropped in the year before the vote, from 57% to 51%. 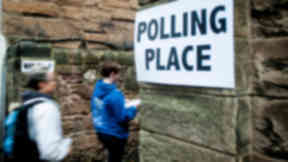 Over 40% of under 18s said they intended to vote differently than their parents. Schools played a more significant role than parents in enhancing young people's political understanding, but only when pupils actively discussed the referendum in class, researchers found. The study concluded: "Lowering the voting age to 16 in combination with a detailed rethinking of the role schools play in political education may therefore be a positive development worth exploring beyond this referendum. "Crucially, we need to be confident to make the classroom a place where politics can be discussed, rather than assuming that young people will be inappropriately ideologised in an easy way." "We found these fears to be unfounded. Their engagement with politics is complex and they appreciate school as a space to do this. "To have a lasting, positive impact, we need to trust schools and teachers to discuss politics actively in the classroom. There are positive effects on young people's political understanding and confidence that parental influence cannot achieve but school can."